An exclusive report by Maeil Business revealed more details on the current situation with Fantagio. It was recently reported that Fantagio employees have threatened to go on strike after Chinese co-CEO Wei Jie of JC Group - a Chinese company that owns the largest share of the agency - stepped up as the sole head of the label. Contrary to JC Group's claim of how they consider Fantagio artists first and foremost, they have terminated corporate cards, making managers and other staff members use their own money for expenses such as transportation, gas, meals, etc. A Fantagio employee identified as 'A' stated, "Things are not getting done. Managers are using their own money right now but I'm not sure how much longer they can hold up like this..."
According to Star Today, JC Group has completly terminated corporate cards starting on December 29. Star Today reached out to JC Group about the issue, and a rep of JC Group commented, "We have confiscated corporate cards due to the overuse by several employees. We plan to provide new corporate cards to the employees soon." However, it is unconfirmed when exactly the "soon" will be. Currently, Fantagio actor Kim Sung Kyun is in filming for JTBC drama 'Untouchable', while Kang Han Na is taking part in JTBC drama 'Rain or Shine'. Another actor Lee Tae Hwan is busily working on KBS2 drama 'My Golden Life'. The absence of corporate cards is expected to have a detrimental effect on Fantagio artists' promotions. 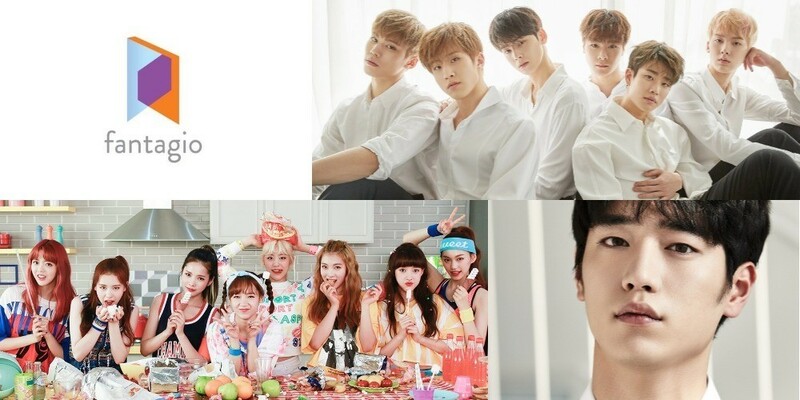 Fantagio is also home to artists such as Hello Venus, ASTRO, Weki Meki, and Wanna One's Ong Seong Wu, Seo Kang Joon, Gong Myung, Lee Ji Hoon, and more.